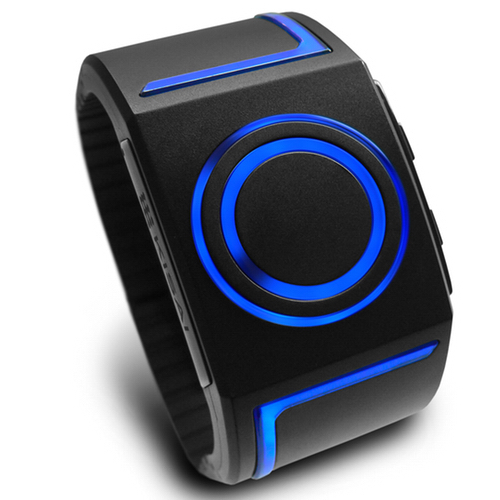 ​With two pulsating rings of light and a cool futuristic design & LEDs curving around your wrist, Kisai Seven of Japan brings an ultra-modern look to what is essentially a regular watch. It may look unconventional, but those two rings point to the hours and minutes just like a normal wrist watch making it easy to read at a glance. The inner ring is the hour hand and the outer ring is the minute hand. There is a dark void section in each ring that literally points to the time. The lights trailing off around the wrist are not just for show either, they help you pin down the exact minute by lighting up in segments. Weirdshityoucanbuy.com is a participant in the Amazon Services LLC Associates Program, an affiliate advertising program designed to provide a means for sites to earn advertising fees by advertising and linking to Amazon.com.